Most of my garden is sopping wet, and its well below freezing during the evenings and depending on the day, all day long as well. 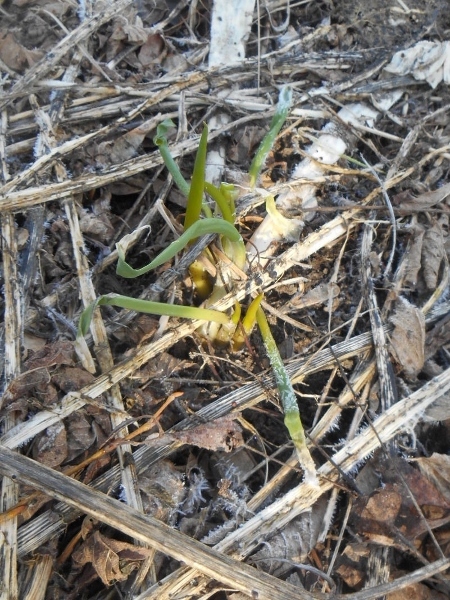 But a few hardy things are popping their heads up, the lily’s are of course but so are the garlic.. 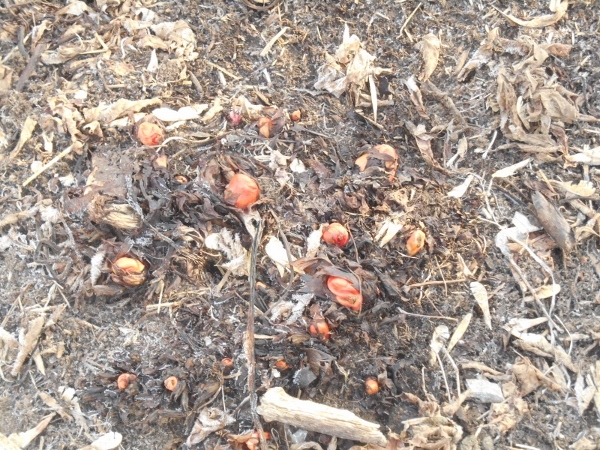 The walking onion is trying hard to get up and going..
All the rhubarbs are starting, love to see that amazing pretty color in the spring, the first fresh “fruit” of the year always.. 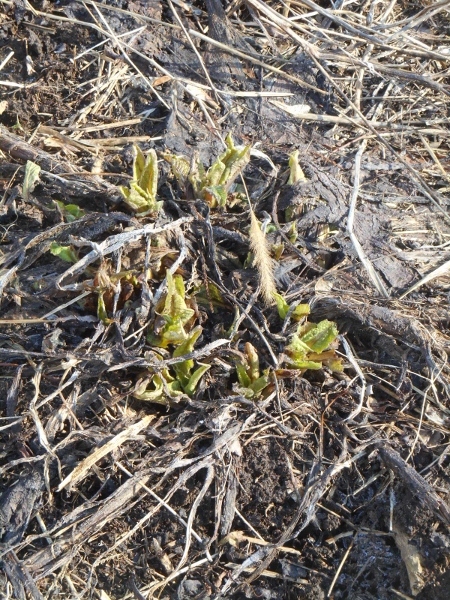 The comfry is up and beating the horseradish this year.. odd but true.. 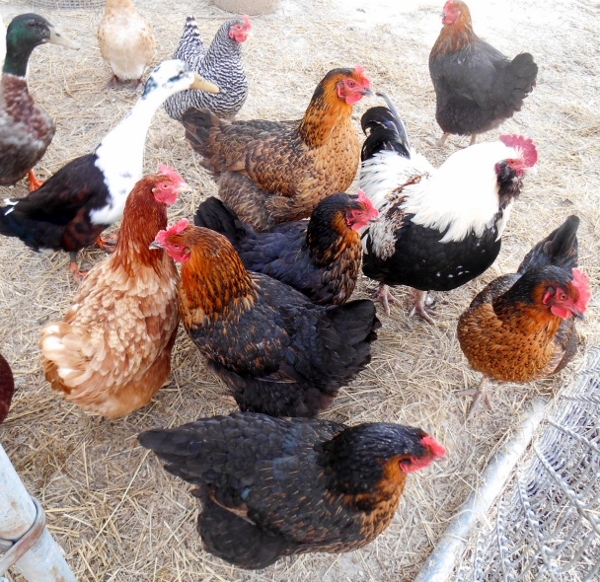 This lovely flock of fowl has been given access in the main garden area and they have done a good job, but today the gate was closed, its time to start our own clean up, amendments and plantings.. and that means.. no more chickens, ducks, or fowl allowed in the garden area..
What are you planting this fine easter weekend? 1 Response to Garden Report.. I am not planting anything. It has been snowing off and on in the Edmonton area since yesterday morning and will continue thru tonight. Numerous trucks and cars in the ditch. Bah humbug!